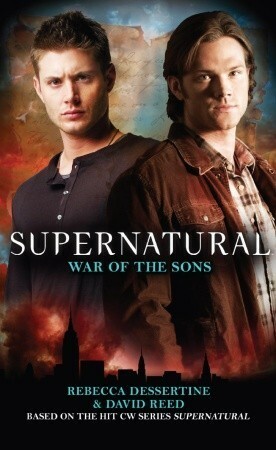 Supernatural - 6. War of the Sons door Rebecca Dessertine. On the hunt for Lucifer, the boys find themselves in a small town in South Dakota where they meet Don - an angel with a proposition... Don sends them a very long way from home, on a mission to uncover the secret Satan never wanted them to find out.. Wallpaper and background images in the boeken to Read club tagged: rebecca dessertine supernatural series book six war of the sons. This boeken to Read photo might contain portret, headshot, close-up, anime, grappig boek, manga, cartoon, and stripboek.